THIS STORY IS OUT OF DATE. CLICK HERE FOR A NEW VERSION OF OUR smart moves for buying a foreclosure. The flood of foreclosures that rampaged through the recession looks more like a swift stream of repossessions this year. As a result, the deals you're likely to find aren't quite as compelling as they once were. But if you can find the right foreclosed home, you can still get a bigger, better house than you otherwise could afford. About 5 million homes have gone through foreclosure in the half decade since the housing collapse, but the rate of foreclosure is falling in many markets. The Mortgage Bankers Association reports the percentage of homes in foreclosure at the end of September — just 2.39% — was the lowest since 2007, or before the housing crisis began. 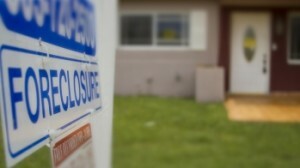 The National Association of Realtors found that 9% of sales of existing homes were foreclosures (7%) or short sales (2%). That’s down from 14% in late 2013 and 24% in late 2012. Although there are fewer foreclosed houses available, there's also some evidence institutional investors are beginning to slow their purchasing frenzy, which means you may not face as much competition. But you'll still have to worry about buyers who can pay in cash. Whether you’re buying a foreclosure to turn into your primary residence or to rent out, you don’t just want a cheap property — you want a good value. These 8 smart moves can help you buy the right foreclosure for you. Smart move 1. Never buy a foreclosure sight unseen. When you buy a repossessed home at auction, you usually can’t enter the property to assess its condition before you bid. At best, you might be able to view the exterior, peek in the windows and chat up a neighbor about the property’s recent history. Without going inside, and without an inspection, you won’t know what shape the home is in until you get the keys. At that point, any unexpected costs are yours, and they can run into the tens of thousands of dollars. Frustrated former owners facing eviction have destroyed plumbing and electrical systems, ripped out carpeting, punched holes in walls and stripped homes of kitchen appliances, chandeliers and water heaters. It can be truly awful. "Owners that couldn't keep up with payments on their mortgage most likely didn't keep up with normal maintenance on the home either," says Rick Snow, broker/owner of First Choice Realty in El Paso, Texas. "There may be many deferred maintenance issues that will need to be addressed." So here's the one inviolate rule of buying a foreclosure: Never commit to a home you haven't thoroughly inspected, inside and out. Smart move 2. Buy repossessed homes through a real estate agent. When the home goes to auction and no one bids, or no one bids enough to cover the outstanding mortgage, the bank that holds the loan gets title to the home. These become what are known as real-estate owned (REO) properties. The bank will usually repair the worst damage and hire a real estate agent who specializes in foreclosures to market the home. That selling agent will allow you to see what’s inside so that you know exactly what you're buying. Smart move 3. Know what it will cost to make the home livable. Good foreclosed homes are merely houses that have sat empty and neglected for months, with dead lawns, peeling paint and other relatively minor problems. Others are so trashed that you can’t live in them before making repairs. For $300 to $500, a home inspector can help you spot all of the problems. A home inspection is important with any home purchase but especially with foreclosures. "Banks and counties do not offer disclosure for foreclosed property," says Brad Pauly, broker/owner of Pauly Presley Realty in Austin, Texas. Owner-occupants, on the other hand, have to tell you anything they’re aware of that’s wrong with the property. The American Society of Home Inspectors or the National Association of Home Inspectors can help you find a qualified inspector in your area. For an estimate of repair costs, you’ll need a licensed contractor. Build a cushion — at least 10% — into your repair budget. Remodeling always seems to cost more than you think it will. Having a complete understanding of a home’s faults is essential to making a smart purchase and protecting your finances, particularly when you're dealing with a foreclosed property. Consider our 3 options for finding a competent, thorough and unbiased home inspector. Smart move 4. Know what similar homes are selling for. You can find “comps” for the property you’re considering on Zillow.com and Redfin.com. You’ll get actual sales prices for similar nearby properties that have sold recently, not asking prices or the unreliable estimated values that Zillow creates based on real estate records. You won’t always be able to tell the condition of the homes that recently changed hands — though sometimes listing photos are still available and can give you an idea — but you’ll be able to establish a range of prices, a typical price per square foot and an average price. Eliminate any comps with extremely low prices. These may be transactions between family members that don’t reflect market value. Make sure your offer includes a "subject to" clause that lets you out of the deal in case the appraisal your lender orders once you’re under contract comes in low. "Some foreclosures may be priced over market value," says Melissa Zavala, an independent broker at Broadpoint Properties in San Diego County, California. "Cash buyers or buyers obtaining a HomePath loan (a purchase and renovation mortgage through Fannie Mae), which requires no appraisal, should obtain an independent appraisal to make sure that they are not overpaying for a property." Smart move 5. Bid competitively. The main reason buyers think they should shop for a foreclosure — to get a bargain — isn’t always valid. In the past, we’ve advised foreclosure buyers to take what they think is a fair price for a similar but well-maintained home, subtract the cost of repairs and offer 80% of that amount. Back then, the market had a glut of foreclosed properties, but that’s not the case anymore. Discounts aren’t as steep. The National Association of Realtors reports that foreclosed properties sold for an average of 15% below market value in October. In hot markets, "if the home is in a desirable location, you will have multiple bidders and the home will sell at or near market value," Pauly says. The bank is not emotionally attached to the home and has no irrational expectations about price. The bank is losing money every day the house sits there. Remember, the home’s real cost is the money you pay the seller, plus what you'll spend on repairs and renovations. Set a firm maximum price that’s within your budget and near the property’s actual value. Be prepared to walk away if the bank won't accept it. You don't want to drain your savings and take on mortgage payments that are a struggle to make every month. Our 5 smart moves will help you make savvy choices about how much of your income you should spend and how big a down payment you should make — before you begin shopping. Smart move 6. Line up your financing and earnest money in advance. With any home purchase, it’s important to know what you can afford before you start shopping. And if you’ll be using a mortgage to pay for the home, having financing lined up is one of the best ways to prove to the seller that you’re a serious buyer and increase your chances of having your offer accepted. When you’re buying a foreclosure, taking this step is not optional. "Be preapproved before going to look at any foreclosure and have earnest money ready," says Debbie DiFonzo, broker/owner of United Country VIP Realty in Lebanon, Missouri. "Have a document from your lender in hand or a letter of cash from your bank. Almost all REO sellers require this information when making an offer." Taking this step will put you ahead of the pack if other bidders are less prepared. And if you’re up against cash buyers and you’re using financing, being able to prove you can close is your only shot at a winning bid. Smart move 7. 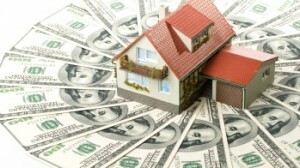 Understand the financing restrictions on foreclosures. Most banks won’t lend you money to buy a home that’s in terrible condition. "If you are getting a loan to purchase, then some of those repair items may be considered lender-required repairs," Snow says. 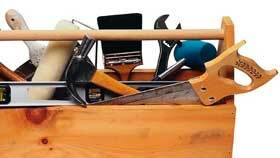 In a typical sale, the seller might make any repairs your bank requires. But foreclosures are different. The bank selling the home may not be willing to do the repairs, and the bank lending you the money may not be willing to close the loan without them, especially on an FHA loan. Even if the bank that owns the foreclosure would let you make repairs before closing so your lender would approve your mortgage, you’d have to pay cash out of pocket for those repairs — a bad idea, because the deal could still fall apart and you’d be out that money, Snow says. Smart move 8. 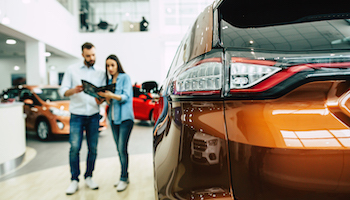 Arrange buying and refurbishing financing together — in advance. One of the only ways to get around the catch-22 of lender-required repairs is to use a 203(k) loan from the U.S Department of Housing and Urban Development. If you will occupy the property as your primary residence, you can use this program to finance the purchase and repairs with one long-term loan. The money comes from a traditional lender, but HUD guarantees it will be repaid, making it easier and cheaper to obtain. But 203(k) loans come with lots of red tape, and not all lenders offer them. The easiest way to find one who does is with HUD’s search tool.